You’ve probably heard the term “malware” or “virus,” but have you heard of the term ransomware? Just as the name suggests, ransomware is a type of malicious software that “captures” the data on your PC or phone and holds it for ransom. It’s a particularly nasty type of malware that requires the help of a professional to successfully remove it without losing your valuable data. At its core, ransomware is code programmed by cyber criminals to extort money from their victims. Unsuspecting victims usually get caught by the code when they visit unsecured websites or download it along with what LOOKS like a reputable application or file. Then, the software can encrypt your files so you can’t access them, or even freeze your system until the cybercriminal behind it uses their encryption key to unlock it. Once your device is at the point where it’s been locked by the malware, the only way to release it is to pay the cybercriminals to release it, or risk them deleting your data or locking it away forever. Cybercriminals who launch ransomware might demand online payment via Bitcoin, Ukash, PaySafeCard, or MoneyPAK. Needless to say, ransomware can be a very dangerous threat if you keep valuable personal or work-related files on your device. Sometimes, you will see a prompt with a warning that tells you that your computer has been locked for visiting a supposedly illegal website, urging you to pay a fine to have your computer released. Unfortunately, it’s more common than you think, and, according to an article by Norton Security, roughly 5700 computers are infected every day. 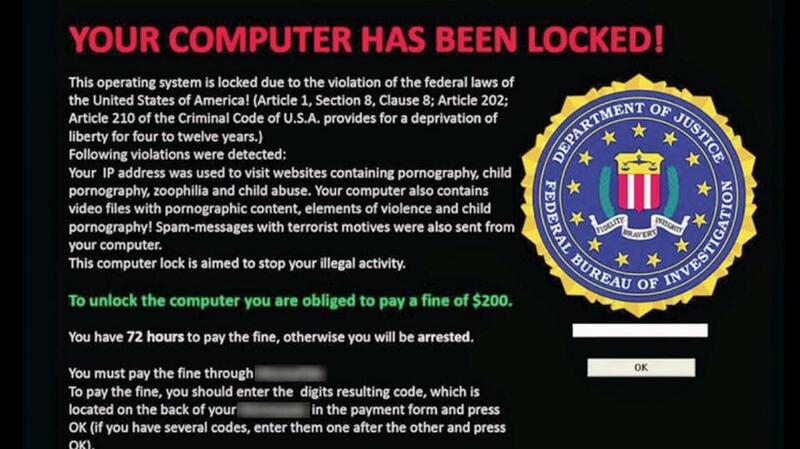 According to a September 2016 Forbes article, the US Department of Justice reports that “Corporate and home computers have been hit with an average of 4,000 ransomware attacks every day this year, a 300% increase over 2015.” Cyber criminals have been able to lock down entire servers in some of the largest industries in the world, including education, healthcare, retail, and finance. Worse, ransomware is getting more sophisticated as criminals launch nearly impenetrable attacks that use asymmetric encryption: a highly-secure method which cannot be broken without the criminal’s digital key. In short: these types of attacks are common and extremely difficult to remove alone without professional help. Therefore, the best thing is to avoid them entirely. How Can You Protect Your Device? According to an article on Computer Weekly, ransomware is typically delivered via email opportunistically and often en masse. Be suspicious of any emails for whom you do NOT recognize the sender. Additionally, you should never open any attachments from unfamiliar email senders. Most users are familiar with popups, but a new software might allow “drive-by download.” Imagine you visit a website, and without clicking anything, your mere entrance into that website leaves your computer vulnerable to an unintentional download. This is a “drive-by download,” and it can be avoided by staying away from unsecured/unsafe websites. 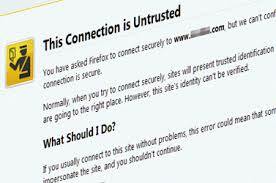 Your browser should warn you if it suspects something strange with the website’s safety certificate. Updates can be a time-consuming pain, but they are necessary in the battle to keep it secured. Make sure your operating system and applications are patched and up-to-date. Those “pesky” updates are often patches that strengthen the software’s security. Keeping your device’s operating system current is one of the most powerful layers of protection. Don’t store all of your photos and files locally on your hard drive. Schedule regular backups so that your data will be safe in the cloud. 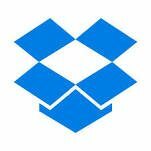 Sync your phone to a cloud service like Dropbox so that they won’t be lost in the event of a ransomware attack. 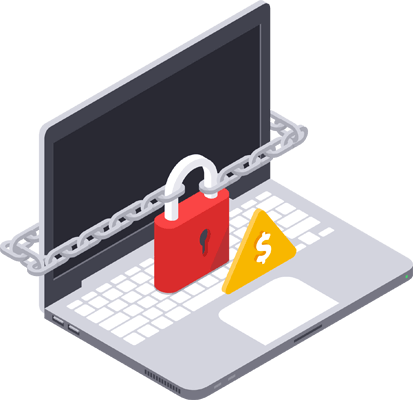 Whether you need help setting up the proper protections on your device, or you need a team of experts to rescue your infected computer, laptop, or even phone, DigitalDoc has the tools and knowledge to protect your device from ransomware. If you suspect that your computer or laptop is infected, bring it in for an emergency evaluation to the DigitalDoc location near you for immediate attention.